Renaissance Italy was a society in which the problems of how to trust and whom to trust presented perennial challenges; yet it also housed a vibrant, transcontinental, proto-capitalist economy that relied on trust for its functioning. 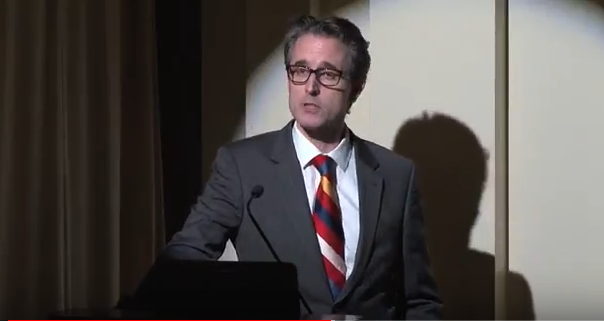 This lecture explores how Renaissance Italian merchants confronted and attempted to manage the problems of trust and the particular mercantile culture that resulted from this: a culture that blended apparently modernizing elements – such as probabilistic reasoning – with what appear to twenty-first-century eyes as irrational beliefs, religious faith, and ideas about personal standing. At its center lay new conceptions of time and the future, which provoked anxieties and offered possibilities in equal measure. Dr Nicholas Baker is a Senior Lecturer at Macquarie University, Australia, and is a cultural and political historian of early modern Europe, with particular interests in Renaissance Italy, political and economic cultures, and the use of visual sources in historical research.